6 PC. 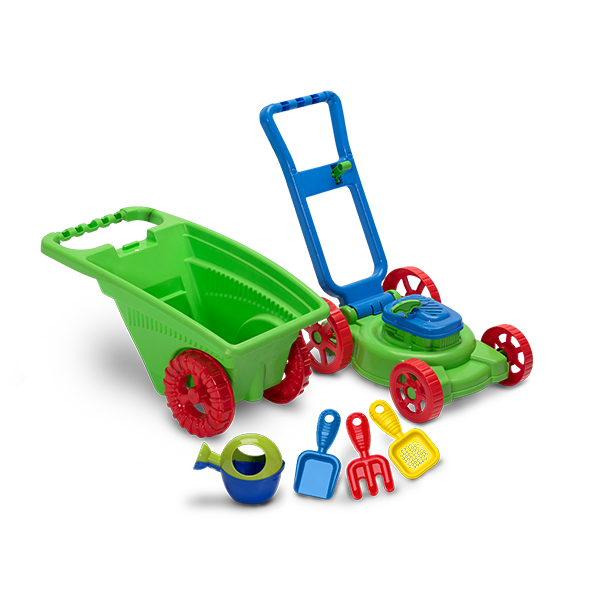 GARDENER SET | American Plastic Toys Inc.
Yard work is a breeze with this set! It includes a lawn mower, a garden cart, plus three hand tools, and a watering can. Packaged in a colorful, corrugated carton with a full color litho label.